If you or a family member is arrested for driving under the influence of alcohol (also known as a “DUI”), securing top-notch legal representation is critically important due to the harsh penalties and fines associated with a drunk driving conviction. When Has a Driver Exceeded the Legal Limit in Pennsylvania? A determination of intoxication can be rendered by a simple calculation. If you are a motorist who is over the age of 21, you are considered legally intoxicated if your blood alcohol level is .08 or higher. If you operate a commercial vehicle (e.g., tractor-trailer operator), then you are considered to be legally intoxicated when your blood alcohol level is .04 percent or higher. If you are under the age of 21, you are deemed legally intoxicated when your blood alcohol level is .02 or higher. 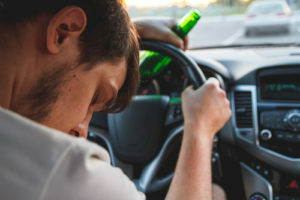 If you are convicted of drunk driving, you are likely going to be hit with a myriad of harsh penalties, including the potential suspension of your driver’s license for an extended period of time, points on your license, and a large monetary fine. If you were convicted of DUI with a blood alcohol concentration of less than .10, there you will avoid the suspension of your driver’s license, but only if it is the first offense. If you are a repeat offender, your license will be suspended for a period of 12 to 18 months. The same extended suspension period applies if you were convicted of DUI with a blood alcohol level of .10 or higher, regardless of whether it was your first offense or not. If you have three DUI convictions on your record, be prepared to not have a driver’s license for at least five years. Each additional DUI offense within this five-year period will result in an additional two-year suspension of your driving privileges. Under Pennsylvania law, a motorist is considered to have a “high” blood alcohol rate if your blood alcohol concentration was higher than .10 but less than .16. If you are within this parameter, you could be looking at a mandatory prison term of not less than 48 hours. Yes, you read that correctly – prison time. And this 48-hour period applies to first-time offenders. A second conviction for high blood levels will result in imprisonment for at least 30 days, along with a fine between $750 and $5,000. You will also be required to attend alcohol highway safety school. A third-time offender is looking at a prison term of at least 90 days, along with a fine between $1,500 and $10,000. If you have four high blood level DUI convictions on your record, you will be sentenced to a prison term of at least one year, along with a fine between $1,500 and $10,000. If you or a family member was intoxicated when an accident occurred and that accident left a third party injured or there was damage to a vehicle or other property, be prepared for potential prison time and a large monetary fine similar to the penalties described above. Did you or a loved one sustain serious injuries due to a DUI in Pennsylvania? Don’t let the medical bills pile up while you wait for the negligent party or their insurance company to do the right thing. Right now, you need an aggressive personal injury attorney on your side, fighting to get you the compensation you need, want, and deserve. The skilled attorneys at Purchase, George & Murphey represent clients injured because of intoxicated driving accidents in Erie, Millcreek, Harborcreek, Fairview, and throughout PA. Call 814-833-7100 or email us to schedule a free consultation about your case. We have an office conveniently located at 2525 W 26th St. Erie, PA 16506, as well as offices in Meadville and North East, PA.